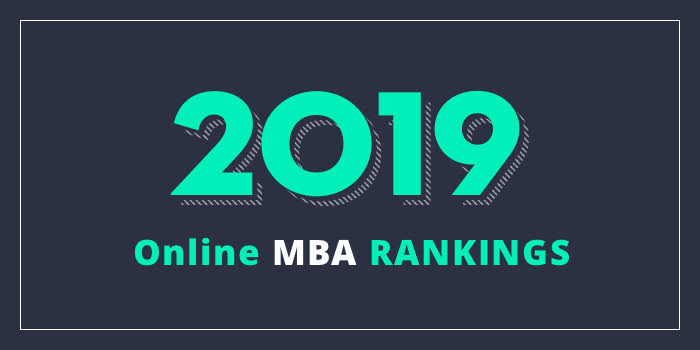 Our 2019 rankings of the Top Online MBA Programs in Illinois. For an explanation of ranking criteria, click here. The Gies College of Business at University of Illinois at Urbana-Champaign offers a fully online MBA (iMBA) with seven specializations including Digital Marketing, Financial Management, Global Challenges in Business, Innovation: From Creativity to Entrepreneurship, Managerial Economics and Business Analysis, Strategic Leadership & Management, and Value Chain Management. Students must complete at least six specializations and a program-wide experiential learning course. Per the school, “specializations ultimately come together as a capstone project and lead to the complete iMBA.” Students will also choose two of three advanced-leadership pathways, including Digitization, Globalization and Innovation. Learning takes place through Coursera and through the University. The part of the curriculum in the Coursera platform is on demand, so students can complete it at their own pace. Other program highlights include hands-on faculty, interactive in classes and projects, and weekly live class sessions, covering multiple time zones across the world. Students live in more than 50 different countries. Another highlight of this AACSB-accredited program is job placement. According to The Wall Street Journal, the University of Illinois is among corporate recruiters’ top five places to recruit talent. Just a few firms with University of Illinois roots include YouTube, PayPal, and Yelp. The College of Business at Southern Illinois University Carbondale (SIU Carbondale) offers an AACSB-accredited MBA program that can be completed entirely online. The program does not require any campus visits and it may be completed in less than two years. The SIU oMBA program has optional concentrations in Agribusiness Economics and Analytics for Managers. Fewer than 10 public universities in the U.S. offer an Agribusiness concentration as part of their MBA program. The Agribusiness option is offered in partnership with the College of Agricultural Sciences. Per the school, both the General MBA and the MBA with a Concentration in Agribusiness Economics feature a “structured, 23-month curriculum delivered through a focused, modular format,” as well as “participation with a cohort of fellow students that encourages interaction and collaboration.” The Agribusiness concentration prepares graduates for managerial careers in the field of agribusiness economics such as banking and finance, business management, farm appraisal, farm management, market and policy analysis, grain merchandising and more. The oMBA Analytics option provides access to and support by “top analytics experts through the Pontikes Center for Advanced Analytics and Artificial Intelligence.” Through the concentration, students will learn how to manage the process of converting large amounts of collected data into valuable and useful information. The program combines traditional MBA courses with analytics courses to prepare students to manage the connection of data and people. Graduates are prepared for leadership positions in just about every business sector: engineering, financial services, healthcare, hospitality, logistics, manufacturing, marketing, retail, etc. Courses the MBA and MBA with a concentration are taught by the same faculty who teach in the on-campus program.